Heather Lende is the author of the 2005 New York Times Bestseller, If You Lived Here, I’d Know Your Name about finding a home in Haines, Alaska through her work as the local obituary writer; Take Good Care of the Garden and the Dogs her acclaimed 2010 memoir of faith, family, and community, and her 2015 bestseller, Find the Good: Unexpected Life Lessons from a Small-town Obituary Writer. All published by Algonquin Books of Chapel Hill. For over twenty years she has written the obituaries for the Chilkat Valley News in Haines. 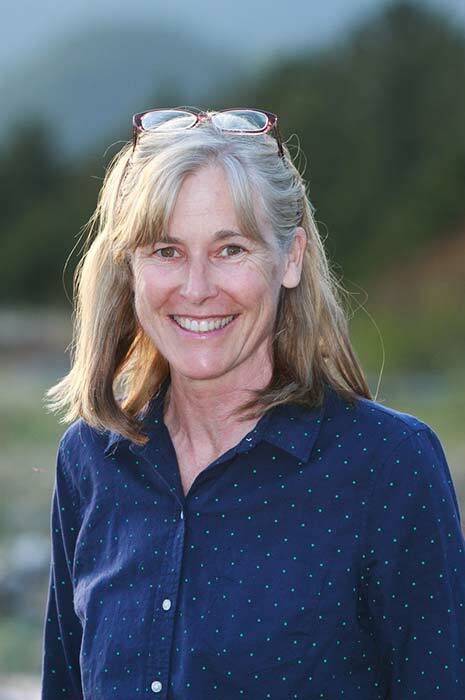 She is also a regular contributor to the Alaska Dispatch News, and has also written personal essays and columns about family and life for the Anchorage Daily News and Woman’s Day Magazine as well as contributed to NPR, Country Living, National Geographic Traveler, the Christian Science Monitor, the World, Sunset Magazine and more. She has a BA in History from Middlebury College and an MFA in Creative Writing from the University of Alaska Anchorage. She is working on a novel, blogs at Heatherlende.com and when she is not typing with two fingers at her desk, she is usually moving about in the outdoors, volunteering for numerous community organizations from hospice to public radio, or hanging out with her family and friends.